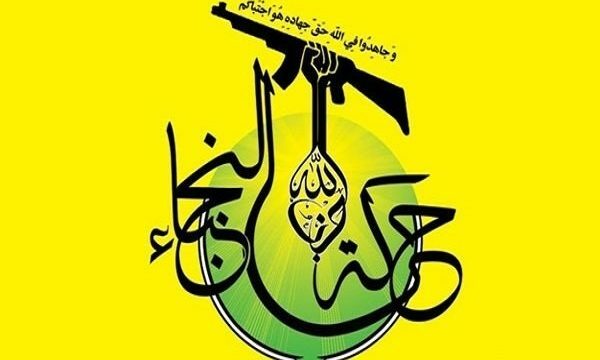 IRNA – The head of Iraq’s al-Nujaba Movement in a statement on Sunday termed as “palaver” claims made by certain news agencies that Iran sends ballistic missiles to Iraq. ‘The claim that Iran has sent missiles to some resistance groups is palaver and not worth a response,’ Al-Nujab Spokesperson Hashim al-Mousawi said in the statement. Al-Mousawi also expressed sorrow about the fact that the US has equipped the terrorists in Syria with chemical weapons and the world has kept silent against it. Earlier on Sunday, the spokesman for the Iraq’s Ministry of Foreign Affairs dismissed the fake news by Western media about dispatch of ballistic missiles by Iran for some Iraqi groups, and expressed surprise about those claims. Ahmad Mahjub said in a statement that the Iraqi Ministry of Foreign Affairs is surprised by the media claims regarding some Iraqi armed groups’ receiving Iranian ballistic missiles. Referring to the fact that Iraq’s Ministry of Foreign Affairs is not obliged to respond to any claims made by certain media, he also emphasized that all Iraqi organizations and institutions are bound and committed to the implementation of the Article Seven of the country’s Constitution. According to the Article, the use of Iraqi soil as a base or platform to attack and endangering the security of any other country is prohibited. Certain Western and regional news agency repeatedly released fake reports against Iran during the past couple of days to sow discord between Tehran and Baghdad and disturb the procedure of formation of Iraq’s new government.